We spent a lot of time this past week with our neighbor's Great Dane, Andy. 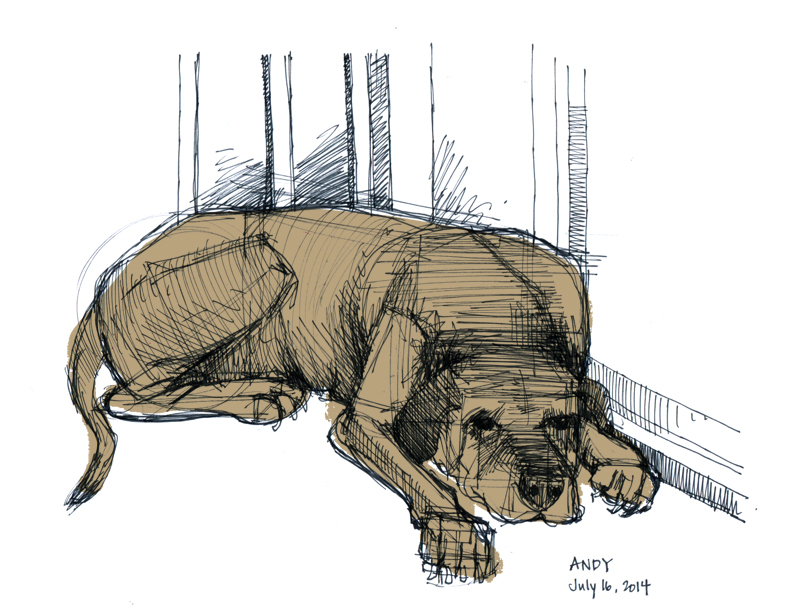 We've really missed Pokey, so it was nice having another four-legged-companion around--especially one that can stay still for long periods of time while I draw him. 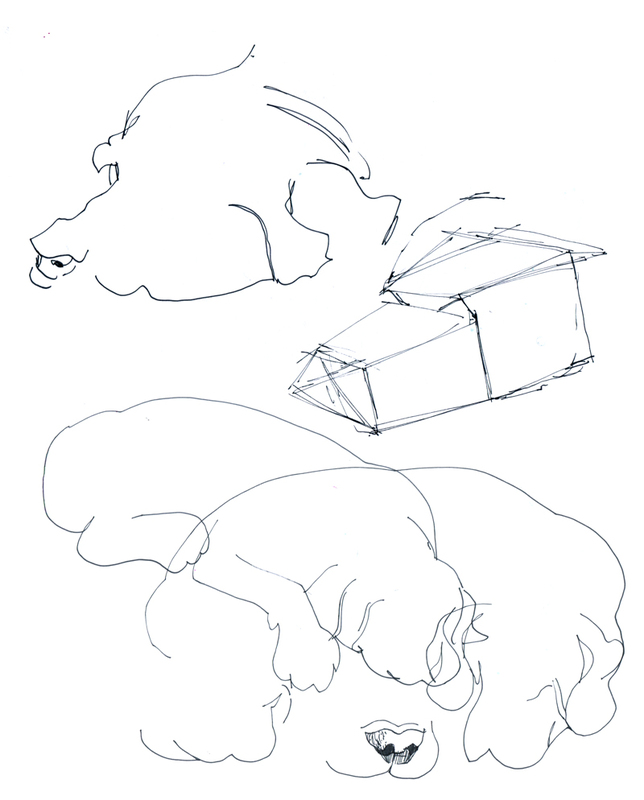 I can't get over how the geometries of Andy's body are so different from The Beagle's. He's one big guy. That's really interesting to see how you block out the sections of the body, and your observation about the differences between breeds! This is such a good drawing!